Spiders are horrible, eight-legged, bazillion-eyed creatures of human nightmares. If you like spiders, it's probably because you have totally forgotten that they tried to eat Frodo AND Harry Potter. And yet, scientists insist upon telling us that spiders are just misunderstood, and not only that but we should invite them into our homes and have beers with them. 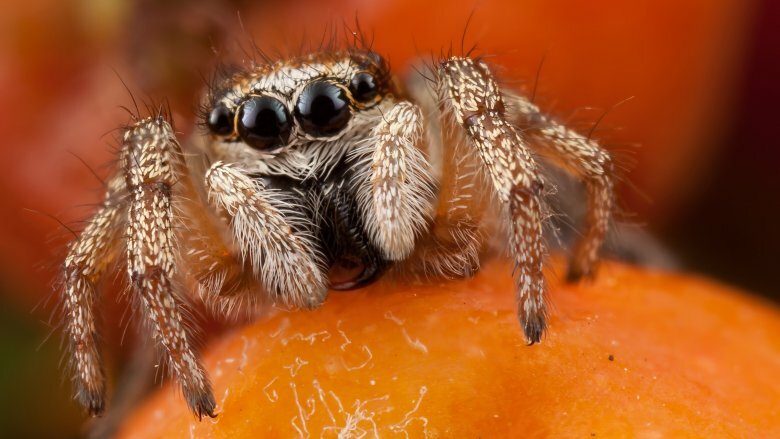 Scientists mostly just say this because they want spiders to eat us, too, so that they can then study our fluidless corpses and arrive at very scientific conclusions about spider fangs and the stuff that spiders' webs are made of while rubbing their hands together and saying things like "muahahahaha" and "soon, I shall rule the world!" In case you don't believe any of that and you think that maybe spiders really are cool and misunderstood, well, you clearly haven't watched enough movies. But here are some of the reasons scientists think you should welcome spiders into your home, and then you can decide for yourself if you should take heed or bar your doors against both spiders and errant scientists. Okay, never mind the part where this particular theory completely fails to recognize that spiders are also pests and replacing one pest with another totally defies logic, but there are those that say you should let spiders hang around inside your house because they can help you with your fruit fly/ant/weevil problem. According to Science Daily, all the world's spiders consume between 400 million and 800 million tons of insects every single year, compared to about 400 million tons of animal protein consumed annually by all the world's humans, so that's a lot of bugs. Many of the insects spiders eat are pests, like flies, earwigs, cockroaches, and those moths that leave holes in your wool sweaters. 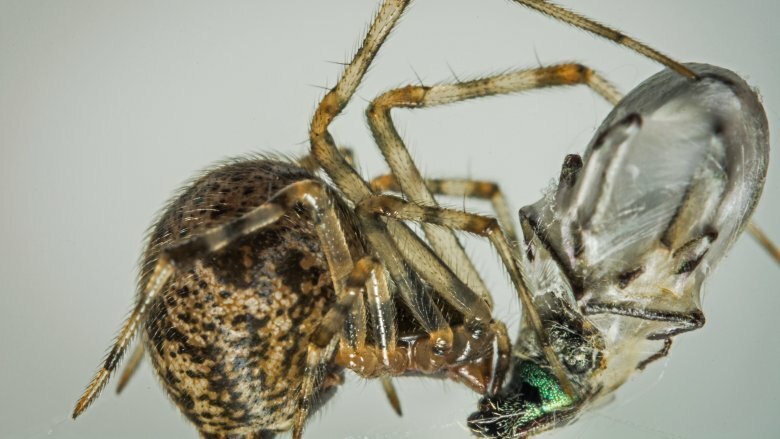 There's even a species of spider in Africa that has evolved to eat blood-filled mosquitoes, which is cool, although if those spiders are really going to qualify as pest control it sort of seems like they should be killing mosquitoes before the mosquitoes actually fill themselves up with your blood. 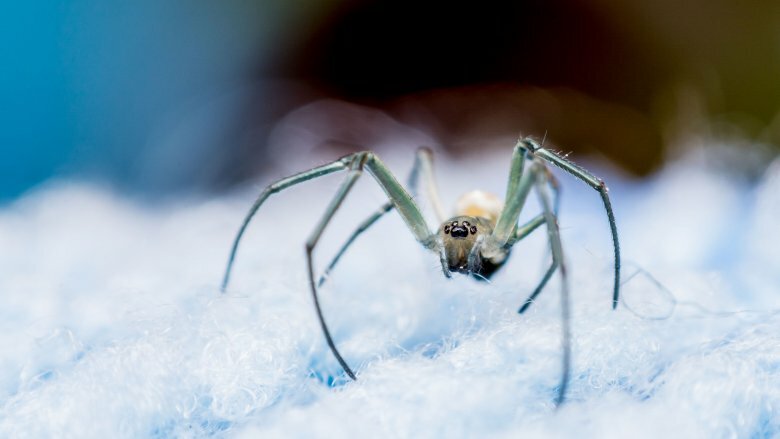 So basically, scientists are saying that you shouldn't kill the horrible eight-legged thing that's suspended over your bed at four in the morning, threatening to drop onto your unsuspecting face while you are sleeping, on the off chance it kills a fly or something because that's clearly a better idea than just swatting the fly with a rolled up newspaper. And because scientists also think we are totally gullible in addition to being potential fluid-free participants in their post-mortem mad scientist experiments, the next argument against killing that 4-inch horror that just came up your drain is that spiders are not aggressive. In fact you should always stop to pet them because they are actually super affectionate. Okay, most scientists avoid saying spiders are affectionate, but they will tell you they're not aggressive. According to Phys.org, spiders mostly avoid humans, except of course when they're dropping onto your face in the middle of the night. And apparently by way of offering arachnophobes even more comfort, arachnologists (those are the crazy people who study spiders on purpose) promise that you'll never even see most of the spiders that live in your home, so don't worry. Yes, the fact that there might be a nest full of wolf spiders under your sofa that you're not aware of is somehow supposed to make you okay with spider cohabitation. You can decide for yourself just how gentle and kind most spiders are, but if you do conclude that the arachnologists are right it's probably because you've never actually seen Sydney funnel web spiders, which have been known to attack people and also have fangs so sharp they can cut through leather. But if you don't live in Australia, you probably have nothing to worry about. Except in your nightmares. 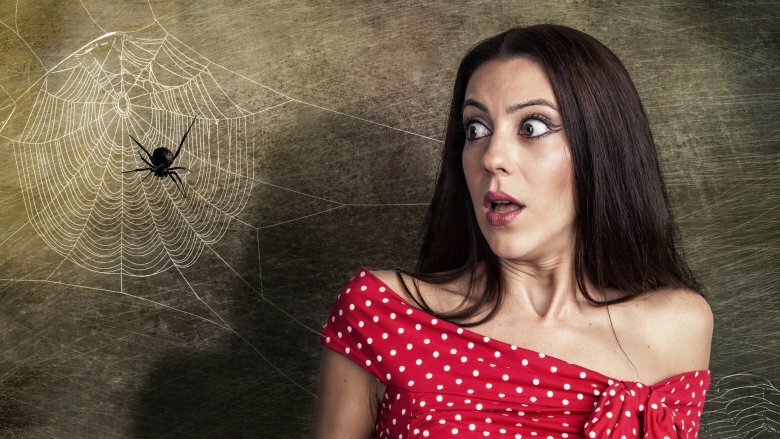 In an article adorably entitled "I promise: spiders are not trying to kill you," an entomologist explains that your fear of spiders is totally irrational. The spider that lunged at you from inside a moving box didn't really lunge at you, and it wasn't actually very big at all even though you clearly heard its giant, hairy feet scrabbling on the cardboard as it tried to gain enough purchase to leap into the air and seize you by the jugular. In fact, your mind tends to exaggerate the size, speed, and murderous intentions of things you're afraid of, so if you saw a 1-inch wolf spider that sort of looked at you sideways as it sauntered away from you, you mind might record that it was actually 18 inches long, tried to kill you, and possessed the speed of a Ferrari. More to the point, there isn't really any good reason for you to be afraid of spiders because they aren't (usually) aggressive and even if they were, they aren't really built for pursuit. And your fear isn't even likely endemic, but learned. In other words, you don't fear spiders because humans are programmed to fear spiders, you fear them because your dad did. So, basically, entomologists and arachnologists are telling you to buck it up and get over yourself because your fear is stupid. Thanks, that's super helpful. So if you truly believe that the 18-inch wolf spider that lunged at you from the interior of a cardboard box was not trying to kill you and eat you for breakfast, then perhaps you will also believe that it does not, in fact, have any interests in common with you at all, except for the desire to live in a warm dry house and not have to pay rent. 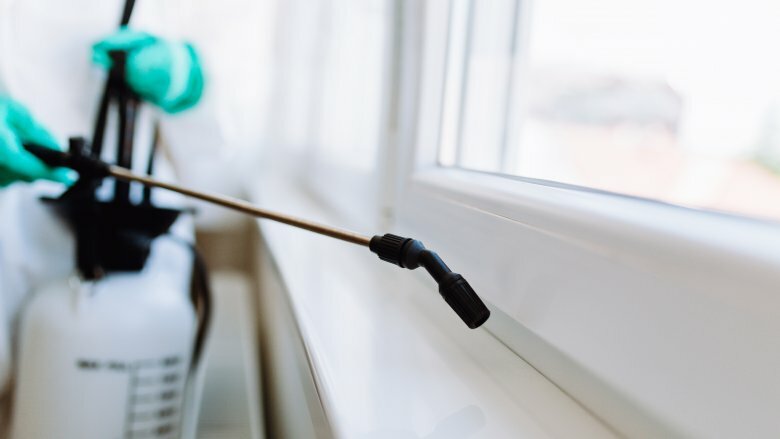 For the most part, spiders don't want to feast on your blood, your wool sweaters, or your frosted flakes, unlike many of the other pests that live in your home. You also won't find them floating around in the boiling water you're cooking rice in, so you can at least rest assured you'll be spared of that particular horror. According to Mother Nature Network, if you leave spiders alone they will take out pretty much every insect in your home, which seems like a wild claim, actually, especially since they just got done telling us that spiders won't hide in your food, and that clearly means weevils and other pantry pests are mostly safe from eight-legged annihilation. And also, if you expect spiders to help you out with pest control, you'll have to import a few from Australia because even though your brain remembers a wolf spider that was 18 inches long, only a few species are actually large enough to consume a mouse. Spiders are clean. No, really. Cobwebs may be ugly and messy and full of the tiny, bloodless corpses of small mice, but arachnologists want you to know that spiders themselves are actually very clean. In fact spiders groom themselves, not because they particularly care about how they look in a party dress but because any debris on their legs might cause them to get caught in their own webs, which would be super embarrassing for them. Okay, but spider bites can get infected, right? Because your cousin Bob was once bitten by a brown recluse and his whole arm fell off. Actually, no. 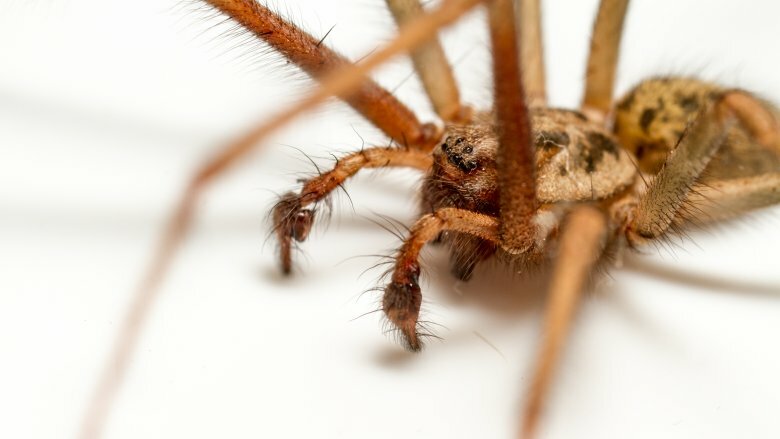 According to Science Daily, bacterial infections from spider bites are very uncommon, and it probably wasn't even a spider bite that made Bob's arm fall off. You can blame doctors because otherwise unidentified lesions are often misdiagnosed as spider bites. A recent study even found that of 182 patients claiming to have spider bites, only about 4 percent of them actually did — most of the rest of the injuries were skin infections. So naturally this means we should put out "all spiders welcome" signs and then build little condos for them in the dark corners of our homes. 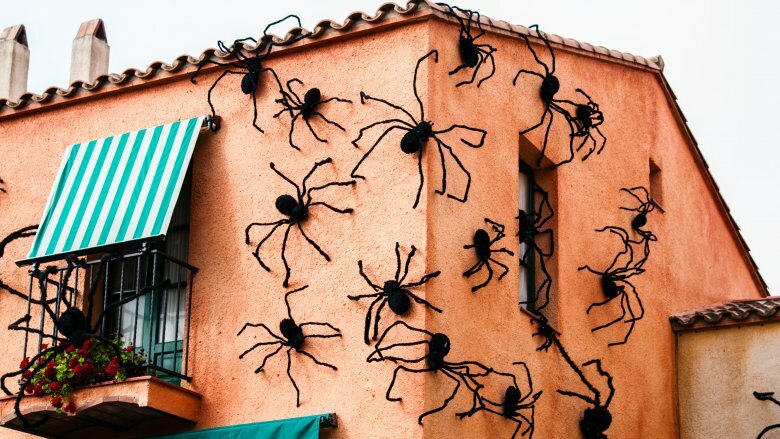 Someone should remind arachnologists that head lice don't spread disease, either, and then see how they feel about opening up an in-home Hyatt Regency for those critters. 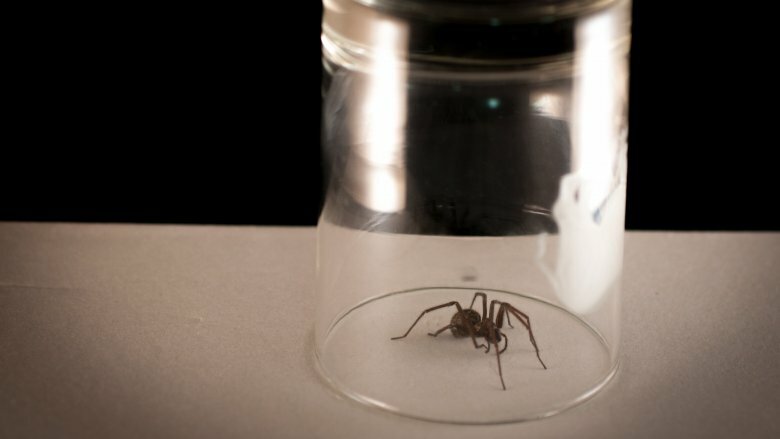 So maybe you're okay with not killing spiders right away because you can just put a glass over your eight-legged "friend," and then squish it in a state of unbridled panic because it ran up your arm before you could put it outside. But that's just not good enough. No, you must learn to welcome those eight-legged horrors and live peacefully with the knowledge that spiders will take up residence inside your shoes and ear canals and basically act like they own the place. Some species of spider actually evolved to live inside, and won't survive in the great outdoors. According to Mother Nature News, most of the spiders you're likely to find in your house — about 95 percent of them — didn't accidentally wander in one day, they were born and raised there and have never been outdoors at all. So in other words, not only are we now expected to like spiders and to not kill them, we are also expected to happily share our homes with them, just like your mom expects you to share your home with your deadbeat older brother who sleeps on the couch every single night, hogs the TV, and promises that he'll get a job and his own place "soon." Awesome. At least there's that old, trusty fallback — one must eradicate all spiders because spiders bite. Sadly, that's not an excuse either, no matter how desperately you want it to be. According to the CDC, there are only two dangerous spider species in the United States: the brown recluse and the black widow. All spiders have venom – just in case you were feeling reassured — it's just that most spider venom is weak. The average spider bite might make you itch or feel nothing at all, and some spiders don't even have fangs capable of piercing human flesh. So they may be equipped with tools of death, but their tools of death aren't really meant to kill anything larger than a typical insect. Out of more than 50,000 known species of spider there are really only 25 species that are "medically significant" or capable of causing illness in humans. And of those, even the most venomous spiders rarely cause death. 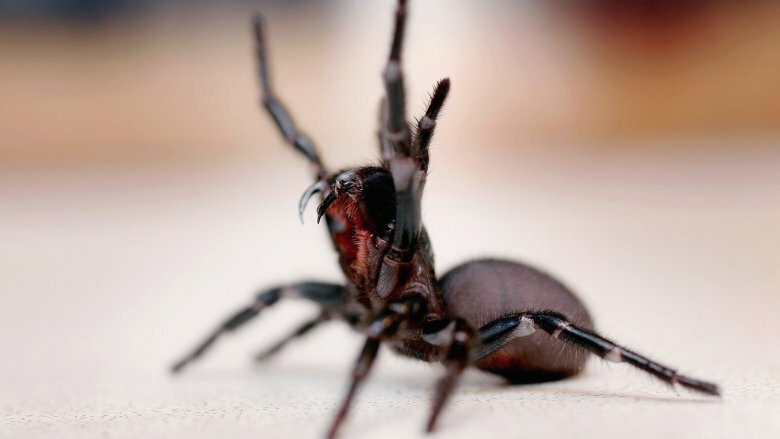 Altogether, male Sydney funnel web spiders, widely considered the second most dangerous spiders on Earth, bite 30 to 40 people a year yet are only known to have killed 13 people in total. So even very deadly spiders aren't really that deadly. Now you can go get yourself some pet Sydney funnel web spiders and sit back without fear while they eradicate all the pests in your home, secure in the knowledge that you're being totally rational. So let's say that you don't hate cockroaches and flies as much as you hate spiders, you don't care that much about venom because the heart attack you will have upon seeing an 18-inch wolf spider will kill you faster than a black widow bite anyway, and you'd like rational people to please just shut up about your arachnophobia already. If that's still how you feel, consider this: Your me-against-spiders war is killing the Earth. Yes, if spider lovers can't guilt you into pacifism by saying things like "they're helpful" and "they deserve to live, too," they can accuse you of helping cause the collapse of the world ecosystem with your callous and unfounded spiderism. According to the Sydney Morning Herald — the mouthpiece of the land where the world's second most dangerous spider quietly plots the downfall of humankind, Frodo, and Harry Potter — says that you shouldn't really spray pesticides in hope of eradicating spiders because you'll wreck the whole ecosystem, leaving only the most pesticide-resistant creatures to join forces with Sydney funnel spiders, thus eventually taking down you and all your neighbors in a hairy-legged horror show. Instead, the Herald says you should battle spiders using obvious tactics like storing your kids' toys in buckets of water, which every mother will tell you is like the most practical idea of all time, and buying chickens. Or as a safer bet, just move to Antarctica. There aren't any spiders there. And now we come to the final reason you shouldn't eradicate the spiders in your house, and the only one that really matters. Because like Boromir in the last moments of Lord of the Rings, you are fighting a losing battle. No matter how many orcs (or giant, 18-inch wolf spiders that might as well be orcs) you decapitate with your sword, they'll just keep coming at you until you're dead. Once again, the Sydney Morning Herald offers this oh-so-comforting wisdom: "It's pest control, not pest eradication." So you can stomp on them, spray them, wash them down the sink, squish them as they run up your arm during a failed rescue operation, or sick your chickens on them, and they will just keep on coming back. 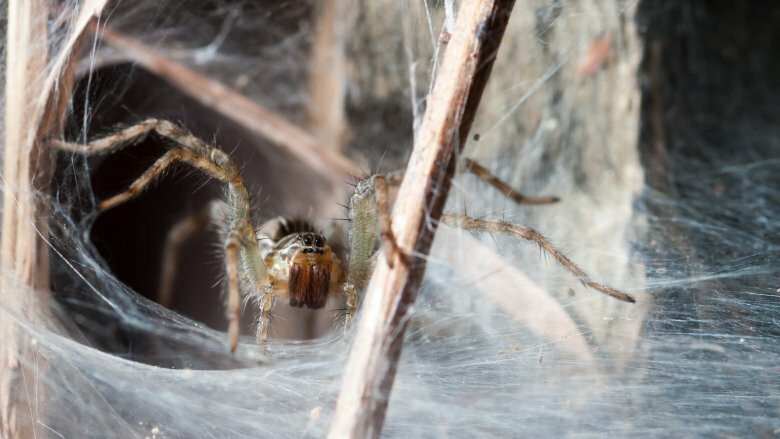 You may find some comfort in the knowledge that your home isn't the world's only spider hotel — a 2016 survey of 50 homes in North Carolina found that every single one of them contained spiders. But that's not all — the average home actually hosted around 100 different species of arthropod (the group that includes spiders and insects). Knowing that, it's hard to argue that spiders might not actually be doing something positive in all those dark corners of your home. That is, until entomologists start telling us things like, "You shouldn't let all those spiders eat the mosquitoes in your house, because mosquitos deserve to live, too!" Honestly, you just can't win.